A viral lesion culture is performed to confirm herpes simplex virus present in a skin lesion. 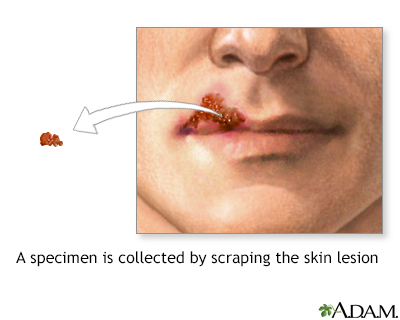 The specimen is collected by scraping the suspected skin lesion or aspirating fluid from the lesion. Results are available within 16 hours to 7 days of receipt of the specimen, depending on the culture method used.